PhysiEx Function Well is a supervised circuit training program individually tailored to maximise individual gains and assist clients to reach their goals. Each session focuses on a combination of strength and cardiovascular-based exercise. Classes incorporate the use of Swiss balls, bands and free weights. An initial assessment is conducted prior to your commencement of this class to determine your health status, exercise history, and to discuss health goals and strategies to achieve these goals. Your first session will also consist of physical assessments to determine current capabilities, enabling a program to be designed specifically for you. In your class, you will receive professional instruction on exercise technique with close supervision, to ensure your safety. Ongoing assessment to track your progress using outcome measures results in continuous program changes, to keep you on track to achieving your goals. * Private health rebates are available for group exercise classes run by our Accredited Exercise Physiologist. Ask your health fund for more information. 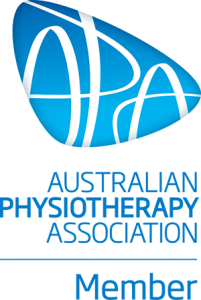 Caboolture Physical Therapy Centre – serving people in need from: Caboolture, Bellar, Banksia Beach, Morayfield, Sandstone Point, Woodford, Burpengary, Wamuran, Elimbah, Toorbul, Bongaree, Ningi, Beachmere, Goodwin Beach, Bribie Island, Donnybrook, Woorim, Glasshouse Mountains, Beerburrum, Beerwah & Kilcoy.